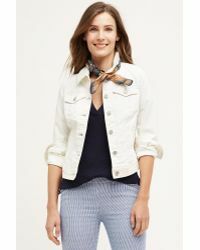 Exclusive to American retailer Anthropologie, Pilcro is a label that specialises in an array of accessible, transitional and easy-to-wear separates and shoes. Designed to slot into your everyday wardrobe with ease, Pilcro jackets are neutral enough to mix-and-match yet nevertheless brimming with character. 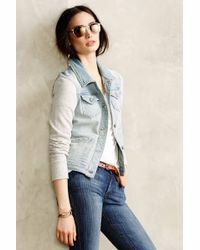 Spice up your daytime game with a summery denim jacket, or for an all-weather staple a sleeveless puffer vest can be easily layered up or down. A year round favourite, Pilcro jackets capture key looks while adding an irresistible and adaptable twist.